You are invited to premiere of concert performance of a ballet "MAKANNA" written by Czech composer and organist Irena Kosíková; based on the novel MAKANNA by Jewish writer Jiří Weil; to be released on Monday 24th May 2010, 7.30pm, at the Convent of St Agnes of Bohemia in Prague (U Milosrdných 17, Praha 1, Czech Republic). Entry is free (see invitation here), but thanks to limited capacity of the concert hall, we recommend to reserve your seats. 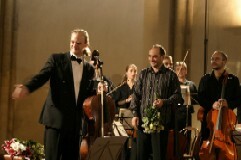 Concert "MAKANNA" will feature Jan Židlický - narrator, Czech cellist František Brikcius and Talich Chamber Orchestra conducted by Maestro Jan Talich. Concert "MAKANNA" is held under the auspices of Sir Tom Stoppard and Václav Havel to commemorate the 110th anniversary of the birth of Jiří Weil (1900-1959) and as part of the "Daniel Pearl World Music Days". In the cooperation with the National Gallery, the Jewish Museum in Prague, the Talich Chamber Orchestra and the City of Prague. More info is available on websites http://www.Brikcius.com , http://www.iKosik.com , http://www.Talich.com and http://www.Praha.eu . 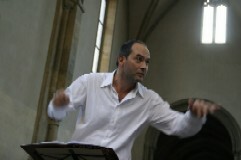 24th May 2010, 7.30pm, the Convent of St Agnes of Bohemia in Prague (Milosrdných 17, Praha 1, Czech Republic). 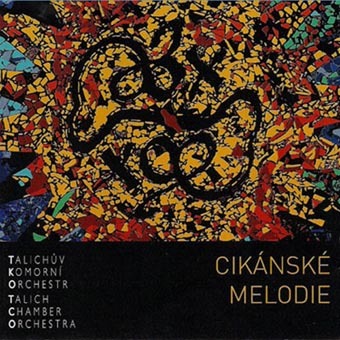 Competition: Win 1 x CD "Cikánské melodie"
Who will premier concert performance of a ballet "MAKANNA" by Czech composer and organist Irena Kosíková? Contest is over, lucky winner is: E. H. from Harrogate. Carmen Flora is flower partner of projects "Weinberger Tour", "Duo Brikcius - 2 Cellos Tour" and "MAKANNA". F. B.: Maestro Talich, you studied in Prague at the Conservatory and the Academy of Music with Prof. Václav Snítil, as well as in the USA with Prof. Shmuel Ashkenasi and in the United Kingdom at the Guildhall School of Music with Prof. Yfrah Neaman. How would you compare these schools, teachers and students? How have these experiences influenced you? Jan Talich: I'll try to be brief. Prof. Snítil is an excellent musician and what he taught me about performing helped me tremendously. Prof. Ashkenasi is one of the finest violinists of his generation, a classmate of Mintz, Perlman and Zukerman. He gave me insight into the highest levels of violin playing and virtuosity. Prof. Neaman was one the best pedagogues, a follower of Flesh and Rostal, and he had the most sophisticated methodology I’ve ever known. It was very interesting to study with such different personalities and I had great luck to know them. In my life, I hope to have the opportunity to pass this knowledge on to other students. F. B.: In 1989 you won 1st prize at the Václav Huml International Violin Competition in Zagreb. Did it affect your professional career? J. T.: Yes, it did. It gave me the opportunity to work with many orchestras as a soloist at home and abroad, giving many recitals, and it helped to put my name into the consciousness of the music world. F. B.: You are solo violinist and first violin of the Talich quartet, as well as conductor of the Talich Chamber Orchestra. Recently you were appointed as chief conductor of the Jihočeská komorní filharmonie. How do you manage it all? J. T.: It's very time consuming. I keep saying to myself that I have to sacrifice something, but I keep postponing the decision. The quartet is my main profession, the TCO is like my child and conducting is a beautiful hobby. F. B.: As part of the Year of Jewish Culture - 100 Years of the Jewish Museum in Prague, you conducted concert "7 Candles" featuring compositions by so-called "Terezín" composers. What do you think about those compositions? J. T.: They are very valuable and interesting compositions - not just because of the circumstances in which they were written - and I really loved including them in my repertoire. I hope other orchestras will do the same. J. T.: I try to think of the audience. I don't want to patronize them, nor do I want to give them something that is inaccessible. 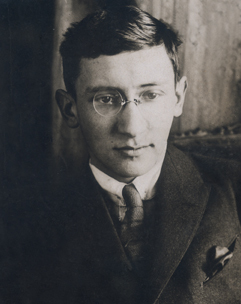 F. B.: On Monday 24th May 2010, you will conduct the premiere of "MAKANNA" by Irena Kosíková, commemorating the 110th anniversary of the birth of the Jewish writer Jiří Weil under the auspices of Sir Tom Stoppard and Václav Havel. What is your relationship to literature? J. T.: I have read a great deal all my life, since my early childhood. I have most time to read when I'm on tour. F. B.: What instrument do you play? J. T.: My instrument was made by J. Gagliana in 1780 and now I have borrowed, from the Museum of Music, a violin made by A. Stradivarius in 1729. J. T.: I'm trying to enjoy everyday little things. I always enjoy spending time with my children. F. B.: Thank you, Maestro Talich, for your time. 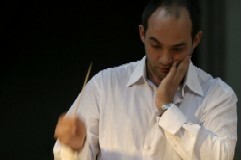 For more about Jan Talich visit http://www.Brikcius.com , http://www.Talich.com and http://En.Wikipedia.org/Wiki/Jan_Talich .